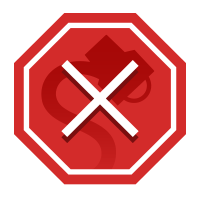 FACT CHECK: Did a Man Sue Himself After Being Hit by His Boomerang? 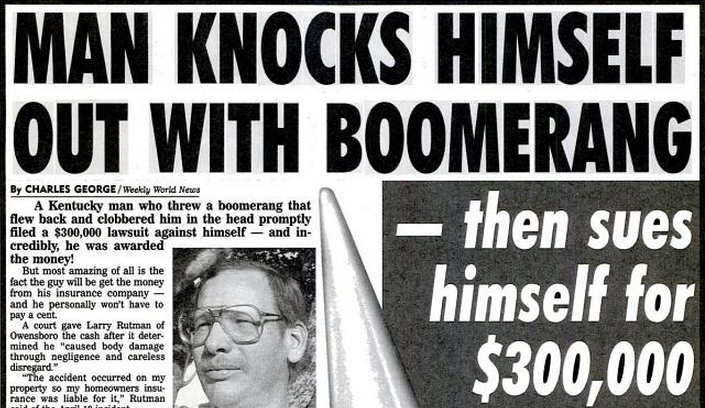 Did a Man Sue Himself After Being Hit by His Boomerang? 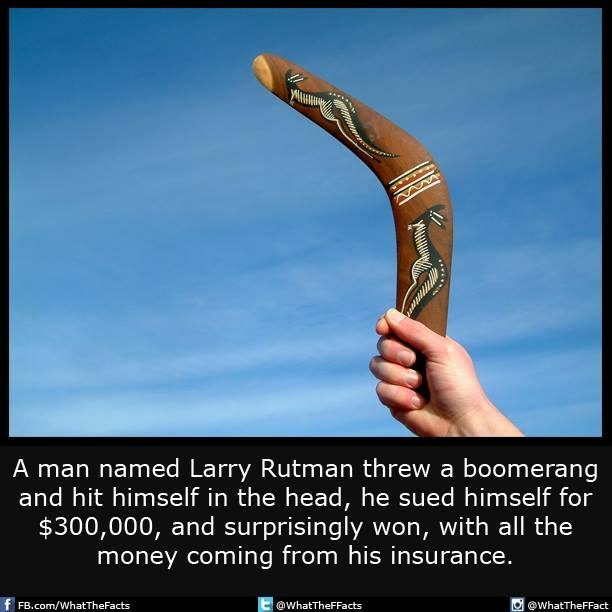 Larry Rutman supposedly won $300,000 in a judgment against himself after he was hit in the head with a boomerang he threw. A man sued himself and was awarded $300,000 (paid by his insurance company) after he injured himself with a boomerang. “A Kentucky man who threw a boomerang that flew back and clobbered him in the head promptly filed a $300,000 lawsuit against himself — and incredibly, he was awarded the money! But most amazing of all is the fact that the guy will get the money from his insurance company — and he personally won’t have to pay a cent. The Weekly World News is, of course, a former supermarket tabloid (now operating in online form only) known for its fantastically fictional stories about subjects such as a zookeeper’s being killed by elephant feces, a scientist’s plot to blow up the sun, and a tree that grows meat. This fake news item received some additional unwarranted credibility when it was reported by the South China Morning Post in August 1996.